DRISCOLL BABCOCK GALLERIES presents Edwin Dickinson: Graphic Enigmas, a cogent selection of drawings by the singularly influential American artist Edwin Dickinson (1891–1978). Dickinson defies classification within the boundaries of any single art movement or style: he is esteemed as both a representational painter grounded in the traditions of El Greco and Edouard Manet, and as a prescient formal innovator much admired by the Abstract Expressionists Willem de Kooning and Jack Tworkov. 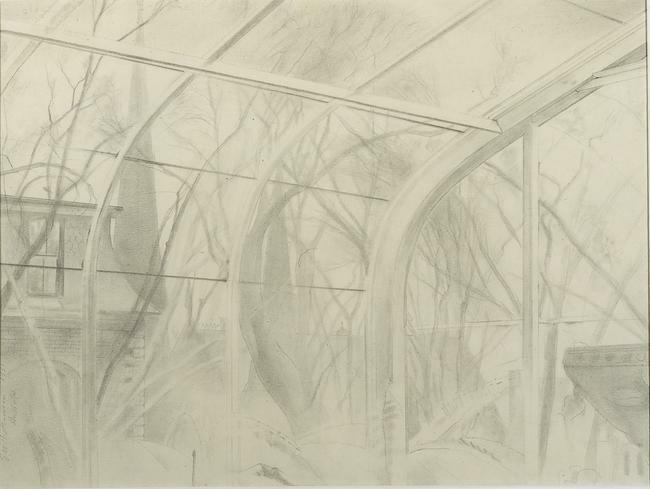 Exceptional graphite and extremely rare pastel works are included and provide an unusual opportunity to see rarely-exhibited drawings by this American visionary eccentric. 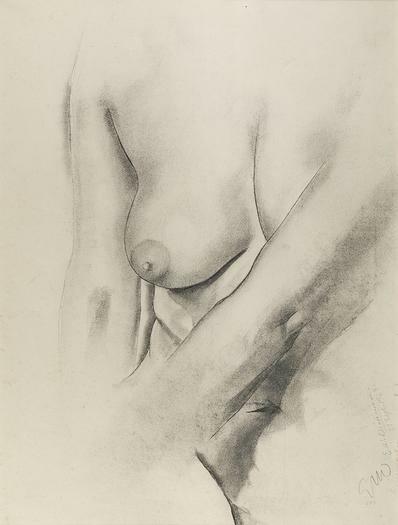 Dickinson’s inventive approach was revered by postwar abstract expressionists such as Willem de Kooning, Arshile Gorky, and Jack Tworkov, and he showed alongside such artists at the Stable Gallery throughout the 1950s. In 1963 Yale University Press and The Drawing Society published “The Drawings of Edwin Dickinson” which was followed in 1965 by the Whitney Museum of American Art’s major retrospective of his work. Dickinson was the lead American artist at the 1968 Venice Biennale. 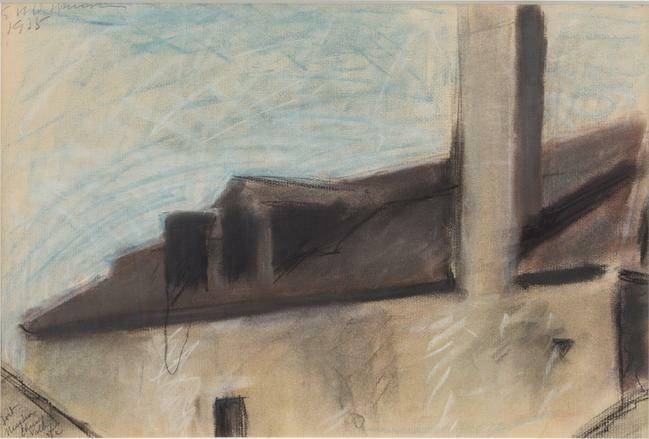 Elaine de Kooning described him as “a great artist [who] reconciles poetry with perspective” and Jack Tworkov said “Dickinson was the greatest artist America has produced-in any century.” Dickinson’s emotional torque and tension resonates in these drawings, and throughout the artist’s probing and enigmatic oeuvre. Driscoll Babcock has been exclusive agent for the Heirs of Edwin Dickinson for over 25 years, and has staged six solo exhibitions of his work, including most recently Edwin Dickinson: In Retrospect (2011) which received robust reviews in The Wall Street Journal. Dickinson’s work has been shown in over 75 solo exhibitions in major museums and galleries worldwide including important retrospectives at the Whitney Museum of American Art; Albright-Knox Art Gallery, Buffalo, NY; The National Academy of Design, New York; and the Hirshhorn Museum and Sculpture Garden, Washington, D.C. Today Dickinson’s work is represented in virtually every major American public collection, including the Museum of Modern Art and the Metropolitan Museum of Art, the Art Institute of Chicago, and the Fine Arts Museum of San Francisco. Over the past two decades, Driscoll Babcock has sold more than 100 Dickinson paintings and drawings to important public and private collections.